This borough is located on the road from Ourense to Zamora, on the site of the former Antela Lagoon, the source of the legendary River Limia, known since ancient times as the “Río del Olvido” (River of Oblivion). 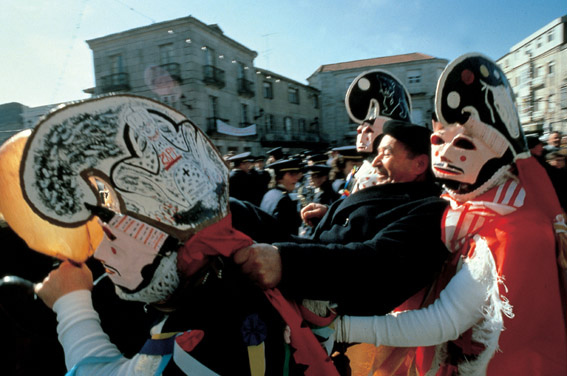 Together with its neighbouring boroughs it forms a unique itinerary to be followed during the Entroido or carnival time: the “Peliqueiros” in Laza; the “Cigarróns” in Verín; the “Boteiros” in the area around Viana do Bolo or Manzaneda and in Xinzo itself the “Pantallas” who take control of the streets. They can all be clearly distinguished by their costumes and masks, which have been added to throughout the ages but whose origins have long been forgotten, although they are known to be closely linked to the farming celebrations that herald the coming of spring.